Learning a new language could be fun and easy. And who said learning German can't be? Learning German is a great choice. Germany boasts the most robust economy in Europe and is populated with compassionate and amazing people. It is estimated that 90 to 95 million people speak German. 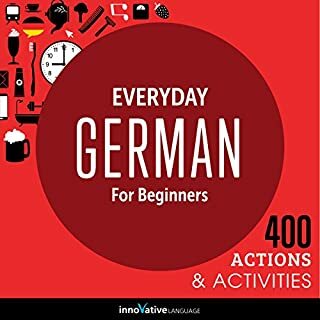 This book contains an easy guide to learning the basics of German in a timely manner. This means you can learn everything basic you need to know within a week. 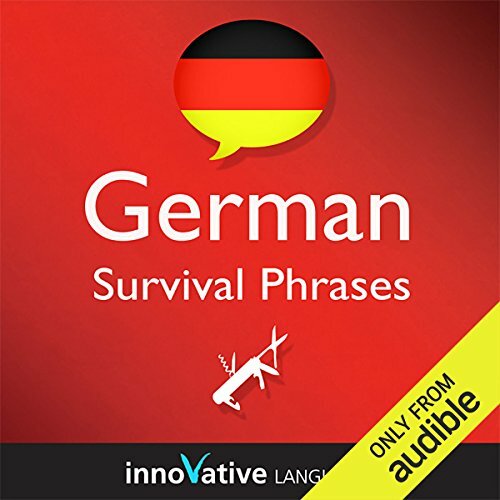 Start speaking German in minutes, and grasp the language, culture and customs in just minutes more with Survival Phrases - German, a completely new way to travel with confidence! Survival Phrases - German will have you speaking with proper pronunciation from the very first lesson and arm you with cultural insight and other information to utterly shock and amaze your friends travel companions and people you meet along the way. Why are the audio lessons so effective?- short and to the point: 30 five-minute lessons make them the perfect length - with syllable-by-syllable breakdowns of each word and phrase, so that you can say every word and phrase instantly. Repeat after the professional teacher section so that you can practice proper pronunciation. Quick cultural tips in each lesson will help you navigate your way even better. Above all, this is a fun and relaxed approach to grasping a lot of information quickly and easily. 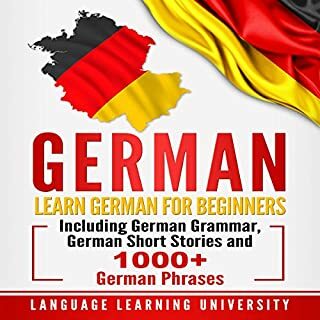 You will effortlessly learn from a bi-lingual and bi-cultural host as she guides you through pitfalls and pleasures of Germany and German. 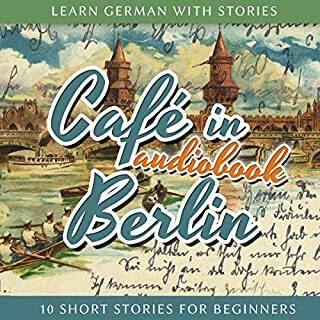 Unlike other audiobooks, we actually teach German and German culture. With each lesson, you will master a target phrase and key vocabulary. This is a complete lesson taught by a professional, bi-lingual teacher! 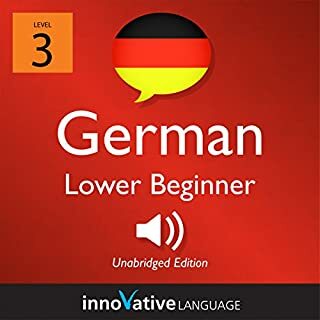 Thirty brief audio lessons—most between five and ten minutes each—cover basic German phrases and social customs. There are two instructors: Judith Meyer for lessons 1–24, Widar Wendt for lessons 25–30. Innovative Language Learning provides a written reference guide that mirrors the audio lessons and lists their vocabulary terms. Both narrators, being (I believe) native speakers, provide (I hope) authentic pronunciation to imitate. Both speak clearly and are easy to understand, though Mr. Wendt has a slightly stronger accent than Miss Meyer. Both give word-for-word translations for each phrase and grammatical information where appropriate. The lessons progress logically and cumulatively. A few of the lessons are quite discursive; Miss Meyer in lesson 20, for example, rambles on at length about the intricacies of Germany’s bussing system, and relates a superfluous story that happened to a friend of hers. This feels like padding and should have been cut. Did anyone proofread the reference guide? It’s full of typos, particularly in lessons 1–24. I can only attest to the typos in English, but the large number of them makes me wonder about the accuracy of the German. 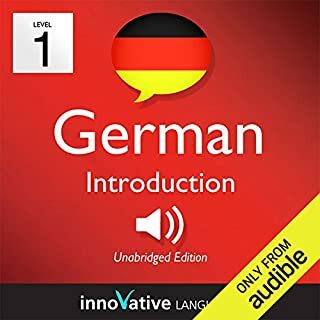 The number of errors decreases dramatically—and the vocabulary lists become much more detailed—in lessons 25–30, but I’m surprised Innovative Language Learning hasn’t posted a corrected guide since publishing these lessons on Audible. My rating: three stars (four for the audio lessons, two for the reference guide). Too much unimportant talking for me. I just want to get to the German lesson. I purchased this in advance of a trip to Germany. 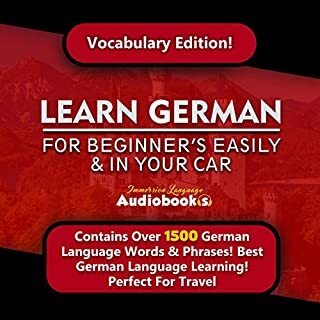 I am a real "dunce" when it comes to picking up other languages, but have been able to get the basics I might need for my trip from listening to the first 20 or so lessons on this book. It has short lessons with what are really "survival phrases" for a tourist - much better than another one I bought that wanted to teach me how to count to 1000 (at which point I quit listening). I really liked Narrator Judith Meyer - she speaks clearly and it is easy to understand how she is pronouncing words. But, when the Narrator switched about 2/3rds of the way through to Widar Wendt, I did not like this book and quit listening. Mr. Wendt speaks too fast and it is hard to understand his explanation of how to pronounce words as a result. If you are planning a vacation to Germany and just need some very basic phrases (please, thank you, where is the bathroom, excuse me, do you speak english, I don't understand etc. ), then I would recommend this book.